By Brother Daniel Leckman, S.J. 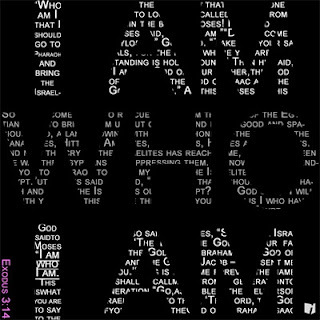 A few weeks ago, in our Mass readings, we encountered the story of God telling Moses ‘I am who I am’ (Exodus 3:13-20). The passage left me rather pensive, with not very much not say about it. It’s only when I connected it with an experience I had as part of my summer program that I gained new understanding into God's encounter with Moses, and my encounter with this passage. We had had a rather intense couple of weeks in our Seminar on Spiritual Direction. We participated many session on heavy topics and each session was led by people who had painfully lived through experiences related to these topics. In our session on addiction, the instructor decided to make us work a little, by guiding us through an exercise of pondering about our own lives. He asked us to fold a sheet in two: on the left side of the sheet, we were to write the words 'I Am'. On the right side, he asked us to come up with many words that could describe how we felt, or describe us as individuals. It was much harder than I thought it would be, specially, with the time limit imposed on us, but I eventually came up with a pretty good list. I was pretty pleased with my introspective effort at coming up with these words that described me, and was therefore a little distraught by his next instruction: “Cross out the words on the right side of the paper. What are you left with?” I am. 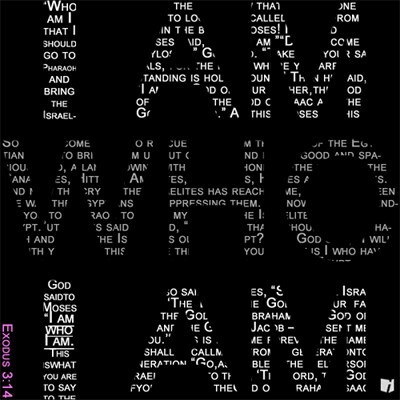 The answer he was given is so unusual, it's never used again in any scripture passage, but it is one of the most important moments in Biblical history: I AM WHO (I) AM. The brackets are mine, the Capital letters are the text’s. I put parentheses because most editions of the Bible in English translate this important passage as 'I am who I am.' The New American Catholic Study Bible, drops the 2nd 'I'. It sounds weird it English, and yet, it drives the point home. The emphasis is on the Being, the Existing. As the Catechism says “It's a name that expresses one's essential Identity, and the full meaning of one's life...God is no longer an anonymous force. He has a name”. It is a name that will build intimacy between Yahweh and his children, one that will strengthen the bond between them. Unlike the rest of the story of the 10 plagues, the focus here is not on God's power: it's all about his intimacy. Just as I must learn, in my walk of faith, to define myself by who I am at my core, so God, presents himself not in the fullness of his power, or the Kingship of his glory, but in a simple, intimate phrase that would leave no doubt about the most fundamental aspect of Yahweh's character: the quality of his Being. This message is very complex in it's simplicity. Unfortunately, we've made it even more complicated. But with time, and by the grace of God, I know we will deepen the beauty of this truth within ourselves, and continue our journey towards a greater union with the Trinity. God creates. He causes us to be. Thanks be to God.